Windows 9 landing 30th September? Mark your calendars: new reports tip a Microsoft press event on the 30th September that will see the release of Windows 9, codename Threshold. The Windows 8 sequel software's launch date has been rumoured to be fast-approaching for a while now, but this is the first we're hearing of a solid date. Although sources say the unveiling will take place, it's likely that the release won't be for the general public. Instead, September's Windows 9 release will be a developer preview that will give programmers a chance to get to grips with the new OS before a wider launch. New features expected to appear in Windows 9 include the live start menu, alongside a possible appearance from Microsoft's Cortana AI software. Earlier this month, Neowin reported that Cortana had been showing up in early Threshold builds, which means the voice-controlled assistant could be coming to the desktop. 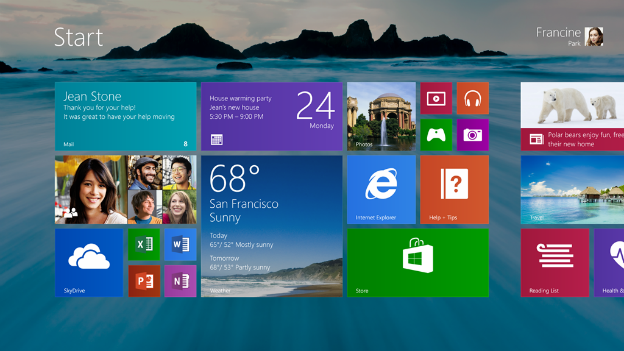 Check out our full round-up of Windows 9 news, rumours, and updates right here on T3.com.